One of the struggles of running a business is reminding people that you exist. There is a lot of competition out there, so your customers have to be continually reminded of why you’re the best! The question is, “What is the most effective way to get the word out?” Mailing flyers and letters is one way, but it’s expensive, takes a long time, and you have no idea how many people actually looked at your mailing vs. throwing it away. Calling gives more instant results, but it is slow and annoys people (I know I make a point never to use any business that calls me during dinner). Email would seem to be the most efficient and least expensive method of communicating with your customer base, but it has its own set of problems: creating an effective email is difficult, spam filtering, and face it: if the email isn’t interesting, they’re not going to read it. The main disadvantage to these three methods is, in the end, you have no idea how effective your message is. It’s like putting a message in a bottle and hoping the ocean takes it to someone. Ironically, I would be more likely to read a message sent to me in a bottle than a mailing due to packaging, but that’s another topic. When checking your email, ever notice that certain things always make it through to your inbox? Bills, for one (if anyone finds a fix for this, please let me know). 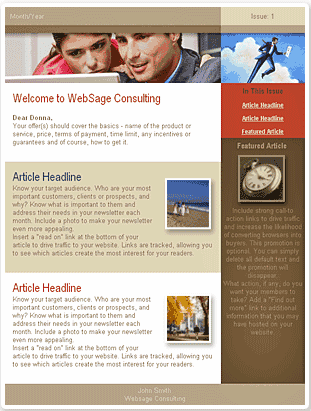 Newsletters, coupons, advertisements, sale alerts…they all come through with no problem. Also, notice that they know exactly what you’re looking for…it’s like you’re being targeted. How can this be? The reason is you are being watched. Not watched in a “close your curtains and call the police on the paparazzi” kind of way, but more of a “Bob bought a ratchet set, so he must be handy. Therefore we’ll send him coupons and sales on tools, home repair, car service, etc.” kind of way. These companies are doing something called “behavioral marketing.” Behavioral marketing is often done through web browsing and email habits. Marketing companies employ a group of tools that are used to measure a customer’s habits, allowing for effective communication between the two. Sound complicated and expensive? Just ten years ago, something like this would have required a marketing firm to design procedures to do this, and media creation would have taken months. Today, we have all of those resources compacted into a single , awesomely easy tool: Constant Contact. Imagine coming into work one day and the boss says “Hey! We have a lot of events going on this month. We should get a flyer sent out to our clients!” Normally, you would need to draw up some kind newsletter format, send everything to a printer, wait for everything to come back, arrange for postage, dread your job for a while, and then guess that a percentage of the people who received the mailing actually read it. That’s a lot of work. All that needs to be done is choose your colors, pictures (use your own, or use images from the Constant Contact library), fill in your text and you’re ready to send! Seriously, how easy is that? I’ve seen people put more effort into forwarding a joke email. Once the masterpiece is complete, you have to choose your recipients. 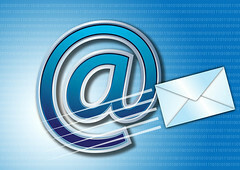 Constant Contact will hold lists of email addresses for you. You can either type these lists in manually, copy/paste them, or import from Outlook, Google Apps mail, or most other popular email platforms. These addresses can be divided into groups depending on your target audience. For example, you could have groups named South Customers and North Customers, and send separate correspondence to each one (Robert E. Lee was a big fan of this naming convention). Choose your target, attach it to your letter, and send! You can also create pre-made letters and schedule them to be sent at specific times/dates. This is especially helpful if you want to schedule around specific events, or still want to keep in touch with your clients while on vacation. Note that this is all done from a website- no troublesome email clients like Outlook or Windows Mail are needed. As I said, the main problem with traditional business correspondence is you do not know who is actually hearing your message. For all you know, those fancy flyers you had made up are being used to line someone’s litter box. Constant Contacts actually tells you who is opening your email and what they’re most interested in, allowing you to do your own behavioral marketing without having to hire anyone! This information is invaluable for any business as it tells you what you need to be focusing on, what generates the most interest, and most importantly: what the customer most desires from you. Two way communication is vital to making any business grow. As you can see, I’m a fan of Constant Contact. It’s a straight-forward, affordable, and easy to use application that will be useful in many situations. As students of the old phrase “eat your own dogfood,” TOAST.net employs Constant Contact in many of its own communications with customers, and if it wasn’t effective we would not be using it. We even use it for our own internal company newsletter. The possibilities it provides actually make it fun to write instead of it seeming like a past due term paper. I love turning business owners on to helpful tools that I know will benefit them, and can honestly say that Constant Contact is one of those rare “must haves”. If anyone else has found a better product, let me know…this one is hard to beat! Next Next post: Internet Explorer 9 – Unleashed!